We are returning to our spiritual home, where we have such an emotional and physical link to our history and heartland, where we see an opportunity to emerge bigger and better. It is incredibly exciting to transform Moorabbin from its current state of decay into an elite AFL training facility, administrative headquarters, thriving social and retail hub and a place where our community can celebrate our history and future successes. We warmly invite our members and supporters to make a contribution to Reimagine Moorabbin and encourage everyone to reflect on how we want to be. 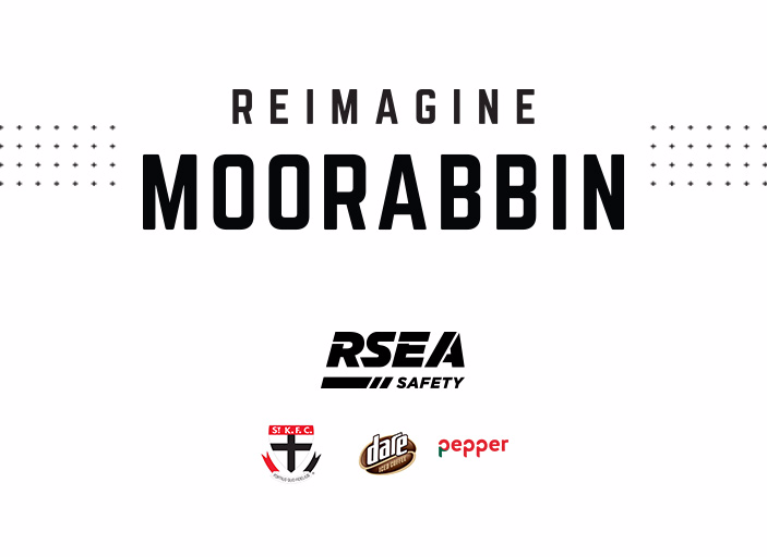 We are also proud to announce RSEA Safety has joined the club as the new naming rights partner for the Moorabbin complex – RSEA Park, coupled with the generous donations of club benefactors who have made significant pledges, gives us positive momentum to achieve our goal of returning home. Please join us to truly reimagine the Saints. Good to see the Saints back at Moorabbin. Proud of the Saints for Re-imagine Moorabbin. Go Saints! Many happy memories at Moorabbin. My contribution to Stage 1, Phase 2 and looking forward to the upcoming development. Looking forward to seeing the new complex when finished. Go Saints! Moorabbin was always a place I was always proud of as a St.Kilda supporter. I loved going there and taking up my place in the animal enclosure.